Two years ago, I was presented with the opportunity of a lifetime; to work at ESPN. But this would mean leaving Baltimore and relocating to Bristol, Connecticut. I was blessed because I did have family here so the transition was not as difficult as it could have been. While it was an easy to decision to take the job, it was certainly not easy to leave my family, my city, my home. Last year I had the pleasure of working through the LeBron James free agency watch. 2 hours after I got off that day, LeBron went back home to Cleveland. When the letter came out and LeBron reflected on his time in Miami, I could relate. Like him, I did not go away for college. Morgan State University sits 5 minutes from where I grew up, so I never knew what it was like to be out of town away from my family. There were times that I wished I would have went away to college, but I could never top the experiences and opportunities I received at Morgan State. My time in Bristol was amazing. Not many people can say that they have achieved a dream of working for a company they spent hours consuming. I have been blessed to do so. Coming to ESPN did not just give me professional experience, but it gave me life experience. Bristol will always be the place where my daughter was born. Hartford, Connecticut will always be the place where I repaired my life spiritually. During my time here, I became a better husband, a better father, and a better christian. For 25 years I was a member of the same church, Christian Memorial Church in Baltimore. My time in Connecticut, I joined Mount Olive Ministries and the experience there compares to no other. Through the Bristol experience, my wife has been the most amazing and supportive person. She made so many sacrifices for my happiness and my career. During the many of nights I came home fussing and complaining, she continued to support me and lift my spirits up… even when I did not want them. I am really excited about going home. My children are blessed to have all their grandparents living and they will get to see them on a regular basis. Milestones will not be missed, the village will be there to raise them, and their relationships with their cousins will be like that of siblings. 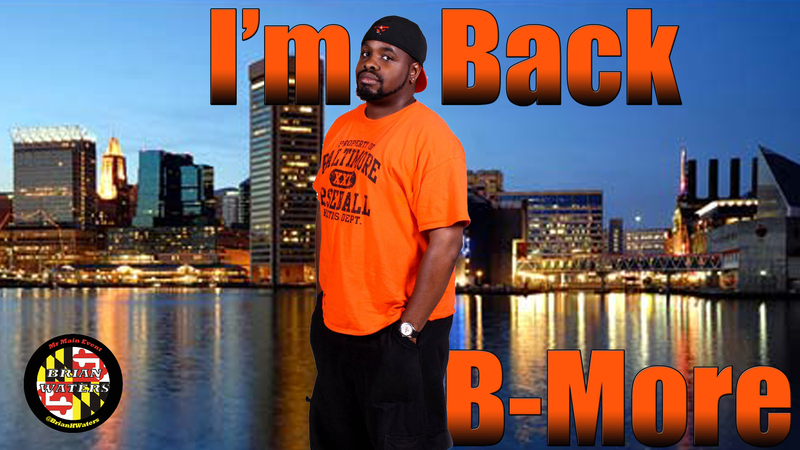 Now in the words of D-Generation X, Baltimore, ARE YOU READY?